Announcing the PHB Header Design Contest! Hello, Poptropicans—it’s Lucky Joker here! The PHB just celebrated its tenth anniversary last month (pretty incredible, right?). Over the decade of this site’s existence, we’ve had many headers at the top to visually show who we are and what we’re all about. To see more of our past headers, check out this post and this post. To submit an entry, you have several options: email us at staff (at) poptropi (dot) ca, comment on this post with a link to your design, tweet us @Poptropica_Help, tag us on Instagram @PoptropicaHare, or send a private message to me, Lucky Joker, on Discord. The contest ends on August 31, so no entries submitted after that will be considered eligible to win. Submit as many entries as you like! Your header graphic should have a file size of 1180 (width) x 160 (height) pixels, or a ratio equivalent. Otherwise, it may get cropped. 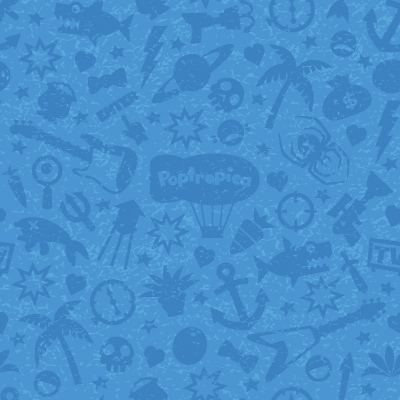 Your header graphic should include the words “Poptropica Help Blog” somewhere. Other elements you may choose to include, but are not required, include: a witty tagline (or use ours), our logo, our Poptropicans (you can grab images from the Avatar Studio, and find our usernames on the Friend Finder), the VIP logo (which you can grab from the sidebar) or other images from the game (the Poptropica Clip Collection and napstachill’s Digital Wallpapers are great resources for Poptropica graphics). You can create in any medium, whether digitally through illustration, typography, photo manipulation; or traditionally, with pencils, pens, cut-out shapes, and so on; or a pastiche of whatever. If you’re not creating digitally, be sure to retain quality by using a scanner or decent camera in good lighting. And don’t feel too pressured to make it look like any one of our past headers — be creative! We’re just looking for something that catches our eye. One winning entry will be selected to be featured as the PHB’s main site header for the entire month of September. We’ll also feature our favorites in a post on the blog. Have fun! We can’t wait to see what you come up with! Can I get all of the author’s usernames so I have a reference? You can check the ‘About’ or the ‘Friend Finder’ page here on the phb for usernames! They’re also at the right of this page, under “PHB STAFF”. This is kinda crazy, but I’m going to put down every author ever, the five “now” authors the boldest, the longest gone authors the ‘fadiest’. It’ll look cool, I promise. Wow, that’s ambitious. 😛 You can find all previous authors listed on the About page. Looking forward to your entry! Thank you! Good luck to u too. I might also need the blue wallpaper used around the blog’s sides. Is there anywhere to find that bigger? Eh, never mind. I think I got it. Sounds sorta random but, any outdoor activities u guys like? Also, who was drawing the earlier headers? They look amazing! What do you use? Thank you! 😀 These days I like using Tayasui Sketches (which I used for the current header), but I’ve also used Autodesk Sketchbook, and still use Photoshop to mix elements together (adding text, logos, etc). Another thing: I can’t seem to find references for the authors MT (heh, coinkidink) and Green Seal. Can you help? And Grumpy Wolf too, please. Wow. I didn’t realize this blog was still a thing ’til I got curious today. I thought Poptropica was overall dead since Poptropica Worlds?? spotted dragon, is your username spotted dragon? Would love to see this, but unfortunately the link doesn’t work! You’ll need to upload this on an image sharing website such as TinyPic or Imgur, then share the link here. I just finished my header! I hope you guys like it!